There are many places to dine within short drives of Copper Johns Resort. Some of these listed restaurants might require a bit more of a drive but are well worth the drive. Here is a list of a few dining options to get you started. Close by and really good dining, great wine selection or your favorite libation ! Tablecloths and candles. Close by and authentic German Delicates. 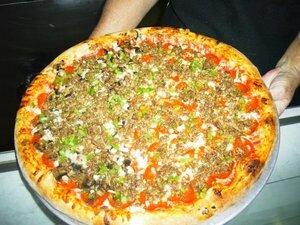 Voted the Worlds #2 pizza behind Venice, Italy at the Worlds International Pizza Challenge. Try the ribs, unique potato salad and the baked beans at this local favorite. You can never go wrong with this mexicana restaurant. Great steaks and good affordable food. Bamboo Garden, Mountain Home, AR. Great sushi and oriental dishes. Enjoy the chefs cooking and preparing food in front of your party. Enjoy good food and numerous televisions showcasing nothing but sports.